There is nothing worse for your face than applying your favourite foundation and stepping out in the sun to only realise your face is looking greasy and oily. By the time it is your lunch hour, your face will be an oily mess, which is never the ideal way to go about. You would want to ensure that it stays matte throughout the day. One of the most frustrating things about being a woman with oily skin has to select a foundation that not only matches your skin tone but also manages to stay on for more than two hours. So what do you exactly do when you know you have oily skin but a foundation is a must for you? We are here with your beauty nemesis and settle out your agony over breakouts. If you have been struggling to find the best foundation for oily skin, look no further, we are here to help. Why Do You Have Oily Skin? After a certain age, it is obvious for your skin to lose the luster and smoothness that you had before. This gets worse when you start having too much of oily and junk food. The kind of skin you have speaks a lot for your lifestyle. We all want to get naturally glowing skin and act on the minor flaws and imperfection such as oily skin. This is where cosmetics work its wonder in covering our blemishes and dullness. Indians typically tend to have oil and acne prone skin which makes it difficult for the cosmetics to be as effective as you would expect it to be. Having oily skin means it would be prone to ugly marks, spots and pimples every now and then. Hence you will require extra precautions and some important tips on the kind of makeup products you need to use, so that the skin problems are not aggravated. Foundations can work its way in hiding your ugly marks and spots and even make your skin tone look fair and glowing. So, go through this list of the best foundations that we have listed out particularly for oily skin types and choose your ideal one from the list. Once you are through with this guide, you will get all the right information under your belt to understand the kind of foundation that is ideal for your oily skin. We have the list of the best foundation for oily skin 2019 that you will love. Let’s get started. Is there any foundation that claims to decrease oil production and make the pores smaller? Yes. The Immaculate Hourglass Liquid Powder Foundation can help you do just that. This product comes with a unique liquid to powder formula which effectively covers your skin and makes the pores invisible. Don’t worry about retouching. You will likely survive the entire day without having to rush to the loo for a quick touch up. As the foundation is liquid, it is easy to apply. However, it quickly dries up, leaving your face looking beautiful. The Luminous Silk Foundation by Armani has always been the favorite of makeup artists. It is a beautiful silky foundation that lets your skin look naturally beautiful and glowing. However, women with oilier skins needed a matte counterpart. Welcome the Beauty Power Fabric Longwear High Cover Foundation. It will keep oil away from your skin and even smoothen out wrinkles and lines on your face. It covers your pores without clogging them which helps your skin breathe. The finishing of the foundation is one of the best that you can get. The best thing about it is that you don’t need to use too much of it. Just a little dab would be good enough for covering the skin. What’s more? It lasts very long. If you live or work in humid and hot places, you will want a foundation that stays concretely in place, whether you have oily skin or not. 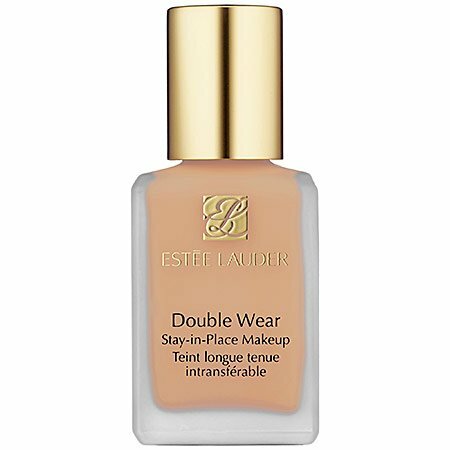 The Estee Lauder Double WearStay-in-Place Makeup is for the outdoorsy women who have to handle heat and sweat or humidity. If you are living in tropical climates, this foundation is a must have. Due to its long wear nature, the foundation stays put on the oiliest of skins. It will help you in keeping your skin dry and oil free. There will be no buildup and no extra shine. You never really have to think twice with a product from Estee Lauder. If you have extremely oily skin and don’t have time to research through the products, just buy this one. The original Bareminerals foundation is a stuff of legends. 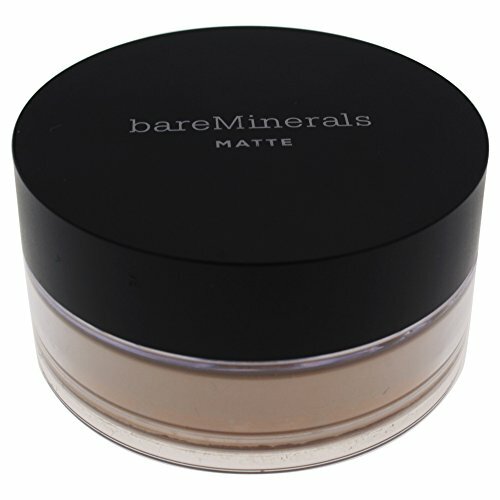 This Bareminerals Matte Foundation SPF 15 presents a shine free, medium coverage version of the original product. It provides a sheer, no shimmer coverage of your skin that doesn’t clog pores but minimizes them very effectively. Its application is smooth and creamy which avoid a rough powdery finish on the face. The weightless minerals will bring the glow back to your skin without making you look like a glazed doughnut. While it can smoothen out fine lines and wrinkles, redness can also be covered with ease. Plus, it comes in 30 shades which can suit any skin tone. Don’t be confused by the name of this product (which sounds more like a hair serum than a foundation). This CoverGirl product is exactly what you need for a smooth and soft finish. The lightweight foundation can give medium to full coverage to your skin and diminish pores, imperfections, fine lines, and wrinkles with just one stroke. The creamy foundation comes with a satin finish that makes your skin look extra soft and supple. Your face will look dewy but not glazed with this product. Additionally, the CoverGirl Vitalist Healthy Elixir boasts of a ‘really long wear’. Apply it in the morning and you won’t have to worry about touch ups till you get back home. Perfect for women who are pressed for time and need oil balanced look. Can you really go wrong with a L’Oréal foundation? This shine-free formula will give you a healthy and soft look. It blends very easily and provides a healthy glow to your skin. 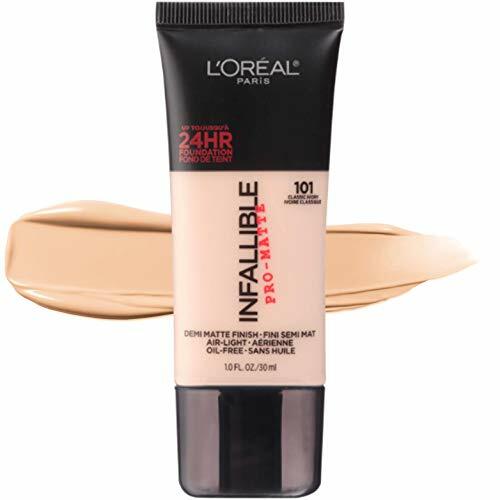 The L’Oréal Paris Infallible Matte Foundation comes with a demi-matte finish, so you can keep looking oil-free for 24 hours. Yes, that’s the kind of coverage being offered by this product. It has special blotting spheres which will absorb sweat and oil instantly, without making you use blotting papers. The medium coverage foundation comes with high water content too. It helps in maintain a rosy sheen in the skin without going overboard. Acne makes it impossible to use any products, without running the risk of worsening your condition. 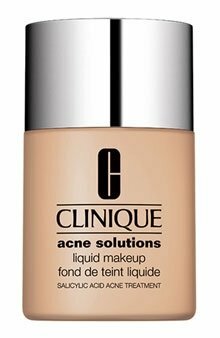 However, with the Clinique Acne Solutions Liquid Makeup, you get a fabulous foundation that can treat blemishes while hiding your breakouts instantly. It comes with a medicated formula that will treat breakouts and keep them from coming back as well. This oil free formula is perfect for women with oily skin. It has a beautiful creamy finish that covers up your skin perfectly and reduces the appearance of any imperfections. The foundation is available in numerous skin tones and presents a beautiful guide for undertones, so you get the best foundation coverage. It provides moderately covered, completely natural look that will keep you from looking cakey and artificial. It is natural for women with oily skins to ditch liquid foundations and go for matte powder instead. Powders are better at soaking extra oil. On the plus side, you get to avoid the glazed effect that comes with liquid foundations. However, powder foundations can easily wear off and require more frequent touch ups as well. This is not the case with Burt’s Bees Mattifying Powder. It stays on your skin for long and gives your skin a beautiful, healthy, and glowing appearance. The good thing with this powder is that it helps you control the kind of coverage you want. This is great for days when your skin is feeling oilier than usual. 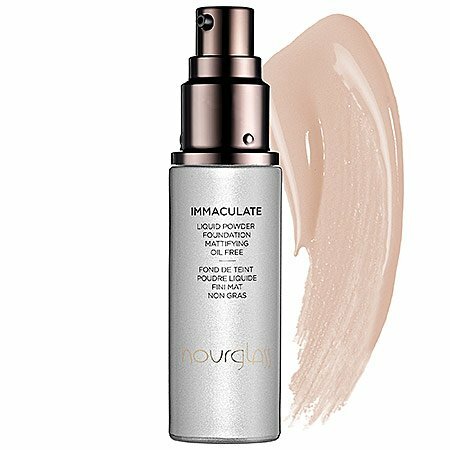 If you want your face to look completely oil-free, sans the dewiness, throughout the day, this is the foundation for you. Are you looking for coverage control in a liquid foundation? If yes, you must opt for the NYX Total Control Drop Foundation. No matter how oily your skin, the foundation will give you excellent coverage. All you will have to do is decide the number of drops it will take to give you the perfect coverage. The formula is smooth as velvet and covers your skin instantly. If you follow Instagram beauty accounts, you must have come across drop foundations already. The appearance of pores is visibly diminished with this NYX foundation. Natural looks are a rage in 2019 and this is the foundation that could help you achieve it. It has a very natural coverage that sits snugly on your skin without making it look heavy or cakey. The best foundation for oily skin 2019 should be lightweight, easy to apply and very natural. This one has all three. As it is very lightweight, oily skins benefit greatly from this product. However, it is not a very long wear foundation. You will need a couple of touch ups through the day to make it stay on the skin. Have you ever thought about a liquid foundation that comes with the convenience of a powder foundation? 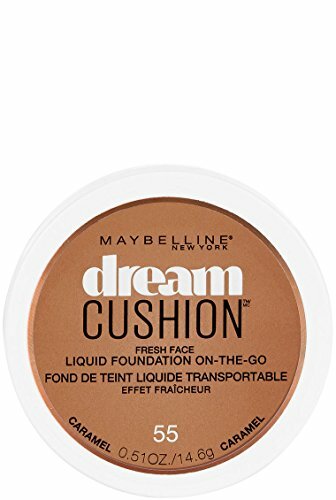 Your dreams will come true with the new Maybelline Dream Cushion Fresh Face Liquid Foundation. It has superior pigments and is very easy to carry as well. The coverage of this foundation is beautiful, and you can carry it more conveniently than a bottle. It is a cushion foundation that gives you more control over coverage and provides a brilliant finish too. The natural finish of this foundation has made it popular and it will be growing stronger in 2019 – when natural looks sweep away heavy brows and extreme contouring from the makeup scene. The cushion that comes with this foundation will let the product sit on your face like second skin. The face will look dewy and fresh with this product. You can get great finish, even without using a primer. How To Choose The Right Foundation For Oily Skin? Here is the video which will explain the fundamentals behind selecting the right foundation for oily skin. Rather than mindlessly going out to buy a foundation cream solely by looking at an advertisement, go for a formula that works ideal for your skin tone. If you have oily skin, you could go for anything from liquid, to cream to powder but it has to have the ability to make your skin look radiant and less greasy. One of the best foundation for oily skin would be the kind which has matte finish blend so that it can absorb the excess oil on your skin. Go for a foundation that matches your skin tone and apply it on a clean face before buying one. Keep it on your skin for some time to see the effect. This way you will realise if there is any change in your complexion or not. Once you are fully satisfied only then go for the product. Always ensure you check the ingredients of the product before buying it. If your skin is prone to acne then it is even more important to ensure that you look for a foundation that comprises of zit-fighting salicylic acid. In case you have dry skin, then opt for a foundation that has serum-infused in it to keep your hydrated through the day. Check before buying a product if it is dermatologically tested or not. Also, ensure that if you are looking for a powder foundation or mousse foundation, it can blend well on an oily skin. These days there are also a number of oil-free liquid foundations that are ideal for oily skin and works as a mattifying primer to set the base. 5. What Kind Of Coverage Do You Desire? If you feel your freckles and spots make you look better on your complexion then go for a lighter coverage foundation so that it lets your skin see through. You could go for a tinted moisturizer foundation such as BB or CC cream to provide you with light coverage on a daily basis. If you want the ideal kind of airbrush for some special occasion, then go for a medium kind of coverage. In case you want full coverage to cover your dark spots and blemishes then go for a heavier foundation, which are ideal for night events. The shade of your foundation should depend on your skin tone. It should complement your complexion and make it look as natural as possible, until you want a heavier shade. So opt for a lighter shade to make you look fairer than the usual. Dab the excess foundation especially if you have oily skin with some tissue before you apply compact over the base to avoid your skin from looking oily and messy. Excessive amount of foundation will make your face look cakey and oily especially in humid weather. So use only the amount that you think you require and not more. If you want to test a foundation on your face, dab it against your jawline and check how well it blends on your face and your neck. It should blend so well on your face that it almost disappears. You could try more than one shade on both sides to ensure the best shade for your skin. The texture and tone of your skin seem to change depending on the weather conditions. If it is winters, then your skin will be dry and even scaly, while in summer your skin will be oily. So always ensure that before you buy a foundation for yourself, check the current climatic conditions to get the desired results. These were some of the best foundation for oily skin 2019. This year, we will be ditching contouring altogether. Makeup artists and runway trends will focus more on natural looks. You can say goodbye to squared off eyebrows, overdrawn lips and even lip fillers and plumper this year. If you have oily skin, focus on getting quality moisturizers as well as lightweight foundations that give your face a fresh new look. Are you satisfied with our list? Have you tried any of these products before? Let us know in the comments below. With thousands of companies who manufactures various kinds of foundations, have you ever wondered which is the best foundation for your oily skin? Well, our fashion experts have tested hundreds of foundations on oily skins and here are our top recommended foundations for those who have oily skin.